Kenya keeps unearthing new talents. 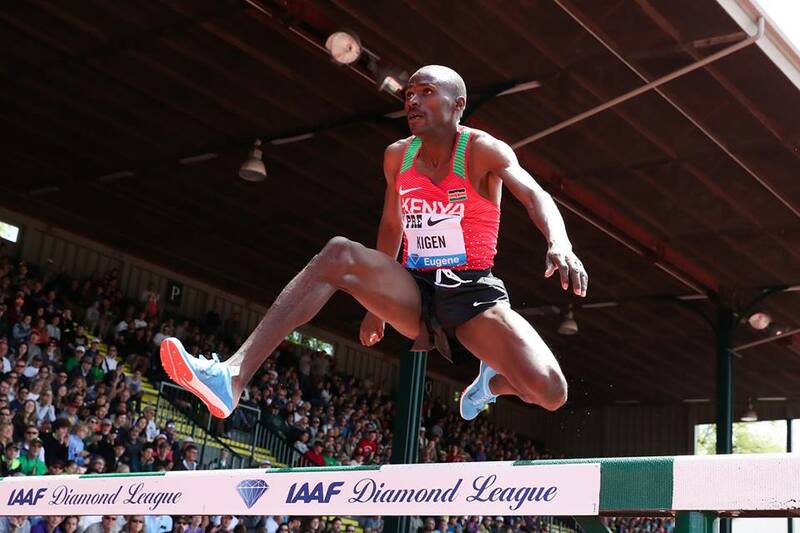 Just when fans thought there was going to be a shortage of world beating steeplechasers, a new one has emerged in Benjamin Kigen. 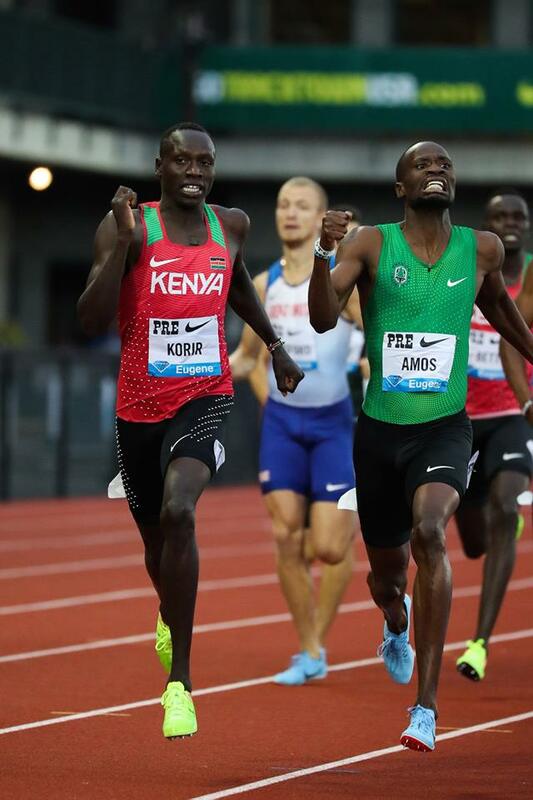 Meanwhile Emannuel Korir proved that he is still the man to beat in the 800m, winning a very close race against Nijel Amos of Botswana. 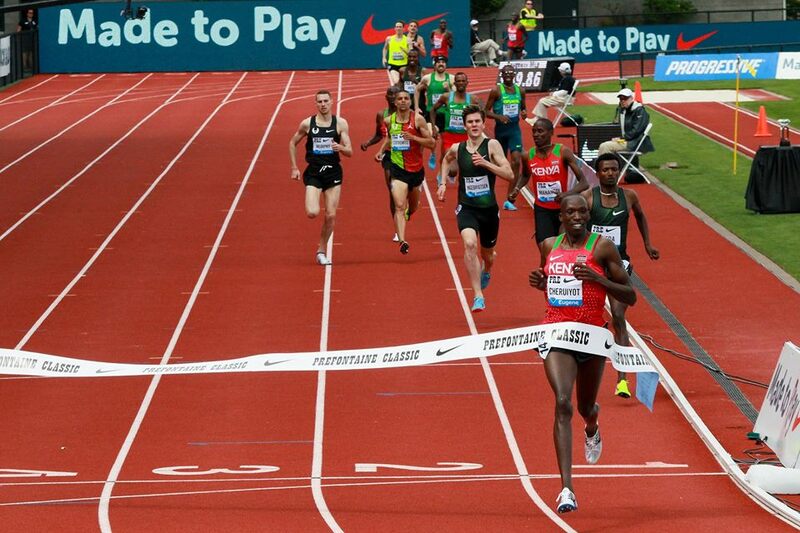 Timothy Cheruiyot was peerless in the mile, finishing well ahead of all comers. With 200m to go, Emmanuel Korir got his legs tangled with Nijel Amos, he tripped and almost fell. In the process he dropped into fourth place and Amos established what looked like an unassailable lead. But Korir came back from several metres behind to beat Amos in the last 30 metres. Korir is now the man to beat in the 800m this season. It was a case of solid tactics by Timothy Cheruiyot. Knowing he did not have the footspeed to race compatriot Elijah Manangoi in the final straight, Cheruiyot set a torrid pace starting with 400m to go and Manangoi had no answer. The only person who challenged Cheruiyot was 18 year old Ethiopian Samuel Tefera. But even he could not match Cheruiyot’s extra gear. Benjamin Kigen came literally out of nowhere to win the men’s 3000m steeplechase in commanding fashion. He took the lead with 300m to go and went on to lengthen the size of his led such that by the final water jump, he had an unassailable lead. World champion Kipruto had to fend off American Evan Jager for second place. Hellen Obiri finished third in the women’s 5000m finishing well behind Genzebe Dibaba. Margaret Nyairera was 6th in the womens 800m despite running an impressive time of 1:58. Winny Chebet was also 6th in the women’s 1500m. This entry was posted in Kenya Athletics News, Kenya Sports news and commentary and tagged Benjamin Kigen, Emmanuel Korir, Timothy Cheruiyot, Wycliff Kinyamal. Bookmark the permalink.